You have seen them around, these little boxes that have black and white blotches in them. They are on cereal boxes, magazines, our condiments, and much more. But what are they? They are called QR Codes; meaning quick response. According to Wikipedia, a QR code is ” a specific matrix bar code ( or two-dimensional code), readable by dedicated QR bar code readers and camera phones. The code consists of black modules arranged in a square pattern on a white background. The information encoded can be text, URL, or other data. “The “QR” is derived from “Quick Response”, as the creator intended the code to allow its contents to be decoded at high speed. So, you are probably saying to yourself, these are for advertising, they have nothing to do with ministry. Wrong! I like to think of these as “little jewels” because they can be used easily, without much effort, while opening up a whole new world for us to engage our learners, our parishioners or visitors to our church campus. When Jesus walked the earth, he taught and engaged His followers using items that were relevant to them and they knew about. This still holds true for us today. 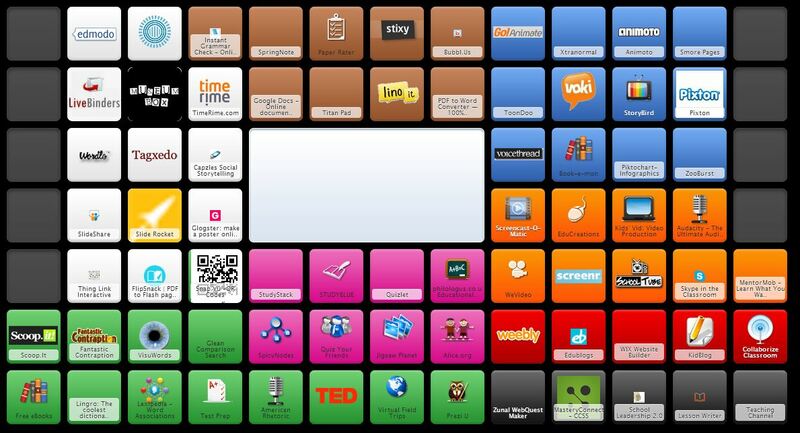 QR codes can be one of these tools we can use to engage our audiences on a variety of levels. QR codes are easy to create and use. All you need is a laptop/desktop, tablet, or smartphone, a QR Code generator and QR code reader. To create a QR code, I usually use my laptop or desktop, but if you are more comfortable on a tablet or smartphone you can create a QR code with them. There are several free QR Code generators and readers to choose from. You can even choose a color, and add an image to them now. Once you select a generator, all you do is add the URL for the item you want people to see and it will automatically generate your QR code. Then you can download it and put it where you want to use it. Your audience then can scan the QR to reveal your message. To scan a QR code you will need a QR Code scanner which can be downloaded to tablets and smartphones free. 1. God Created Me – Find out more about me! Have the children type in some things they like to generate a code, then have their picture on card that says “God Created Me.” Scan the code to learn more about me. 2. Find out more about where Jesus walked. Take a map of where Jesus walked and create a QR code that has a video of that area showing where Jesus would have preached, or walked. 3. Learn about Saints, ten commandments, etc. – To learn more about Saints, you can have posters up around the room, then a sheet of questions that they would have to find out from scanning the QR code. This could be the same for the ten commandments, beatitudes, corporal works of mercy. 4. Learning prayers – To help children learn their prayers you could have them decipher the code to see what line comes next in the prayer or what word. Another way is to help them see what words they missed. 6. Scavenger Hunt – Have children find the clues and then decipher the code which could be topic of discussion or bible verse. 7. Tour of the Church – place QR codes around your parish that tell what the various items are. You could have a video to describe it or written words. Example – place it next to the baptismal font, stations of the cross, pews, statues, outside the parish that tells about your parish, etc. 8. Bulletin Boards – Have your audience learn more about a certain topic. Example – this year’s catechetical theme is “Prayer.” You could have an image, then below the image a QR code descripting the prayer. Your bulletin board could say: Can you name the different prayer styles? 9. QR Stations for self-directed learning: Creating QR stations. Have stations set up around the room on a specific topic. The students scan the QR code to reveal the task and the students must work together to get the task complete. 10. Review – Send a note home telling families what you learned in class this week. It can say: Dear Families, this week in class we learned that Jesus created everything, including me. Here are a few resources you might want to explore with your child of the next week. Then have the QR code that has a couple of different resources for them to review. It could be something for them to read together or a video, or song. From time to time, it may be helpful for you to have an online fundraising tool at your disposal, outside of the main parish/school ways of soliciting funds. Parishes and schools have finance councils and boards in place to plan and oversee anticipated expenses. But what about legitimate needs that simply don’t fall under the umbrella of the parish or school? Two examples come to mind. My best friend, a self-employed professional, was diagnosed with an aggressive and serious cancer. Although she had medical insurance, treatment meant she would lose all her income for about 9 months. Obviously, no one church could meet the financial needs of every person with this kind of medical challenge. She set up a fundraiser and quickly raised about $12,000, which allowed her to focus on her cancer treatment and not worry about her income. Her donors were from her very wide circle of professional associates, church friends, family of friends, and more. I’m happy to report that her last two checkups revealed no cancer, and that she is getting back to work, grateful for the love and support of her online community. Take a look at Linda’s fundraising page here. 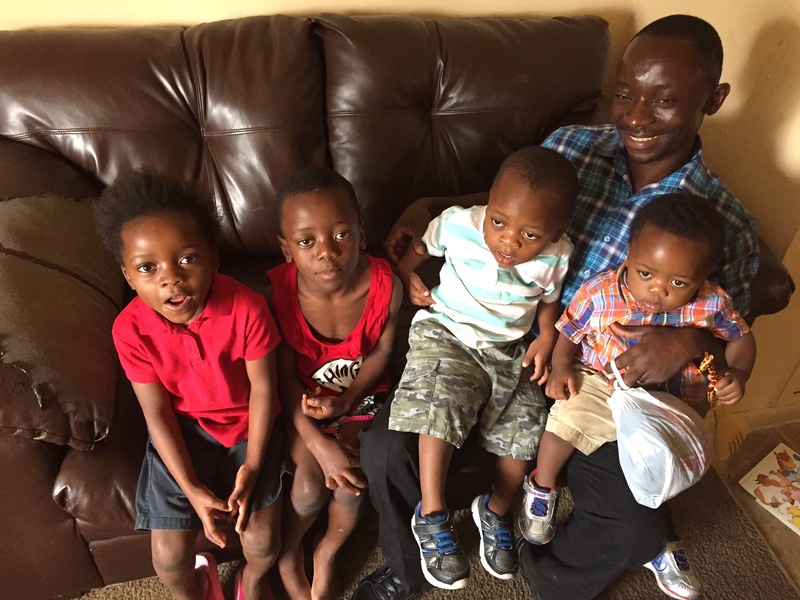 In the second example, our parish recently welcomed a family of six legitimately resettled refugees from Africa. The family consists of a mother and father in their thirties and their four children under the age of 7. While they received assistance from the State Department and the agency resettling them, they still had many needs: clothing, bedding, transportation, car seats for the two youngest children, cleaning products, toiletries, a washer and dryer, and much more. Imagine not being able to speak English and having to provide for your family on minimum wage jobs, find child care, figure out how to get to the grocery store, etc. Fortunately, we discovered this family because they registered at the parish (all are Catholic) and walked – with all four children – to Mass every Sunday, several miles! Generous parishioners helped with translation and used items, but when we began an online fundraiser, we were able to raise an additional $2500 to help buy bicycles, cell phones, towels, bedding, kitchen supplies, a crib for the baby, and much more. While we feel good about being able to help, we feel BLESSED that God put us together with these lovely people, surrounding them with new friends and able to show them the mercy and care we value as God’s people. See our fundraising campaign here. Whether you are a private citizen or a non-profit organization, you can use Crowdrise to raise funds for your cause. Follow the directions carefully to set up the type of account you want. The good news is that if you make a mistake or get lost, the helpful support team is more than willing and able to troubleshoot mistakes. (I speak from experience.) Click here to see many other organizations, large and small, that have utilized Crowdrise and click here to see celebrity causes, just to get some ideas. Be sure to link your Crowdrise account to one of the two money-handling agencies. You will need your bank account information to do this. The setup process includes step by step instructions on how to do this. After you open a Crowdrise account, it’s time to create a fundraising campaign. Choose a name, a goal and create a description. Upload a compelling picture to go with your cause. Finalize your campaign and then be sure to test it to make sure someone can successfully donate before you share the link. By default, Crowdrise prompts the donor to add on an extra donation to cover administrative costs. Otherwise, the receiving campaign (you) will pay a 3-5% fee. Be sure to let your donors know (in the description of the campaign) that they can choose to not pay that extra % by clicking on the option to just make the straight donation. You will then assume that cost, but the convenience of this tool is well worth it. Once you have tested your campaign, share it in every possible social media site. 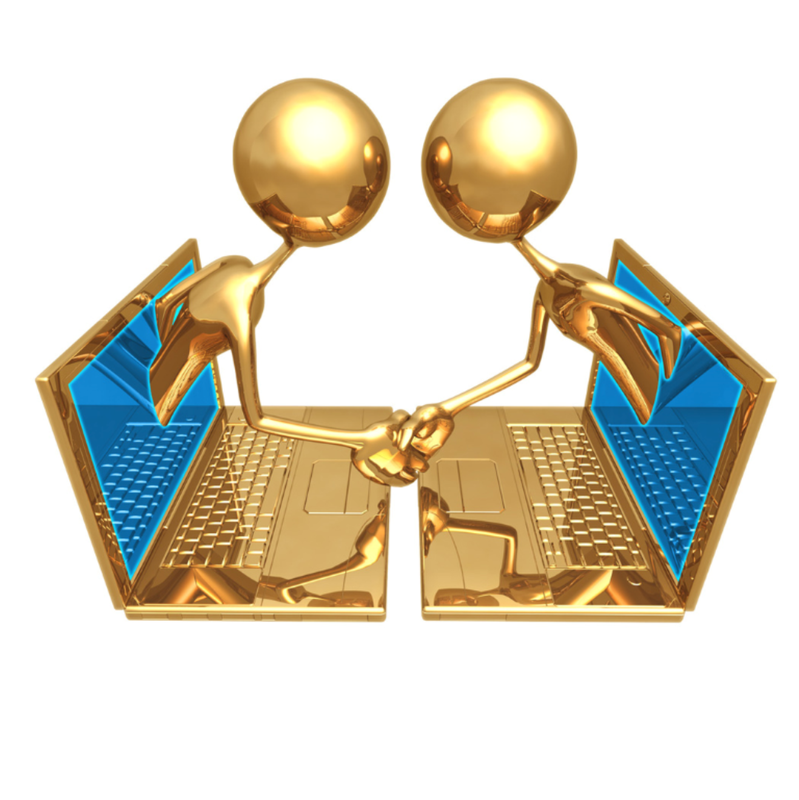 Facebook and Twitter are integrated into the tool. You can also create a html widget to put on your website. Don’t forget the old-fashioned way of simply emailing the link out to your contacts. Crowdrise makes accounting for your funds easy. There is also a way to send a thank you message to each donor as the funds are donated. If you receive a donation by check outside of Crowdrise, you can simply add it as an offline donation. You can choose to have your funds deposited to your bank account daily, weekly or monthly. I think the best thing about Crowdrise is that it gives the individual a way to connect with others and easily raise money for a worthy cause. The feeling of being an instrument of grace and generosity is unsurpassed. What a great way to teach your students or co-ministers a creative way to meet the needs of the least of us, using the power of many people coming together under the inspiration and prompting of the Holy Spirit! The bad news: Adobe Voice is an iPad only tool for digital storytelling. The good news: Adobe Voice is an elegant, easy, and powerful tool for digital storytelling. And it is free. While I typically shy away from recommending apps that are platform dependent, this one is too good to keep secret. Check out what Catholic author Jessie Bazan created at http://voice.adobe.com/v/IP5c8-3×845 using Adobe Voice. If Dr. David Walsh is correct in saying, “Whoever tells the stories defines the culture,” and if we want to tell the Story of the Reign of God… and teach our learners to do so as well… I cannot think of a better tool than Adobe Voice, given its simplicity and effectiveness. Adobe provides searchable libraries for photos, music, and icon-like graphics; and different structures to walk you and your learners through the process of planning and constructing different types of stories (like mini-storyboarding). You supply the story, the narrative, the text, and your own photos. Adobe Voice then puts it all together in video format and allows you to share your story in a number of ways, including saving the video to your iPad to further expand your sharing options. Finally, you share the video in a number ways ways, now including saving it to your iPad where you have more options of sharing it. Plus, you can use other iPad video editing tools, like iMovie, to enhance the video further. I created the following video off the cuff and in just a few minutes. Imagine what you and your learners can do with some foresight and planning. I suggest downloading Adobe Voice from the iTunes store and trying it out. It will surely beat watching the dry tutorial I’ve created for you below in case you don’t have an iPad… yet. Of course, as a catechist, there are many uses for Adobe Voice. 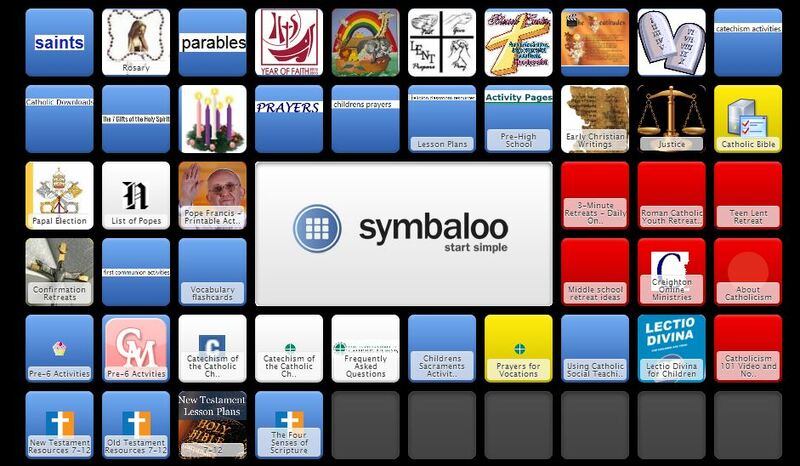 You can create prayers to begin class, upload presentations to YouTube for a flipped classroom experience, or create an invitation to the parish festival… uploaded to Facebook. Since you can insert your own photos into a slide, you can even export a PowerPoint or Keynote presentation, and turn it into a video with narration and music. What other ideas are you hatching for Adobe Voice that will help you and your learners to tell your faith story, the story of your parish… and indeed the Story of the Reign of God? As mobile devices and One-to-One initiatives become more mainstream in schools, you may be searching for ways to have an easy, interactive interface between content that catechists have prepared and student reception and viewing of that content. SlideShark is a tool that can help if you are moving in that direction. SlideShark allows you, the catechist, teacher or youth minister, to upload a PowerPoint presentation from your home PC to your iPad, broadcast your presentation to multiple recipients who have iOS devices (iPads or iPhones) and then share that presentation for later on-demand viewing. SlideShark preserves all the fonts, animations and other features for your viewing audience. If your audience does not have access to iPad or iPhone, they can still view the presentation from their home computer via a link. No home computer? Then these would be the students who are required to attend your presentation live! 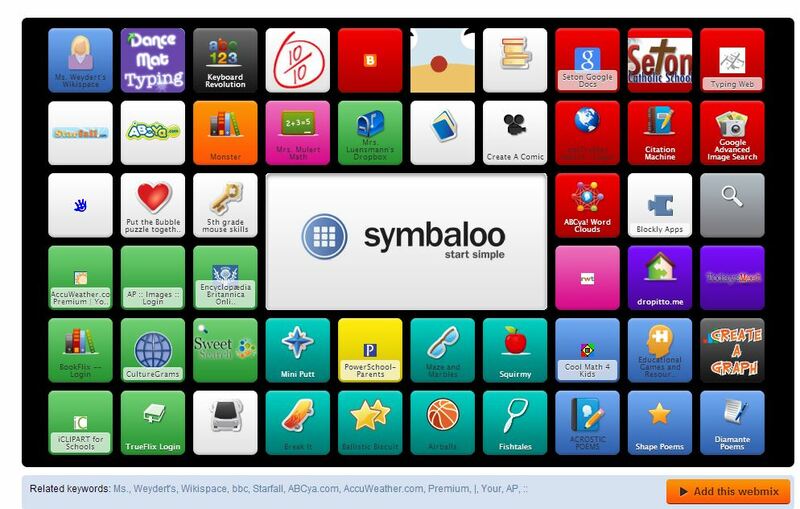 There are several account options, with the entry level being a free account allowing 100 MB of PPT downloads. Advanced features such as broadcasting require a fee. At the time this post was written, however, a free trial of the broadcast feature was being offered. Check the web site to see if that free trial has been extended. 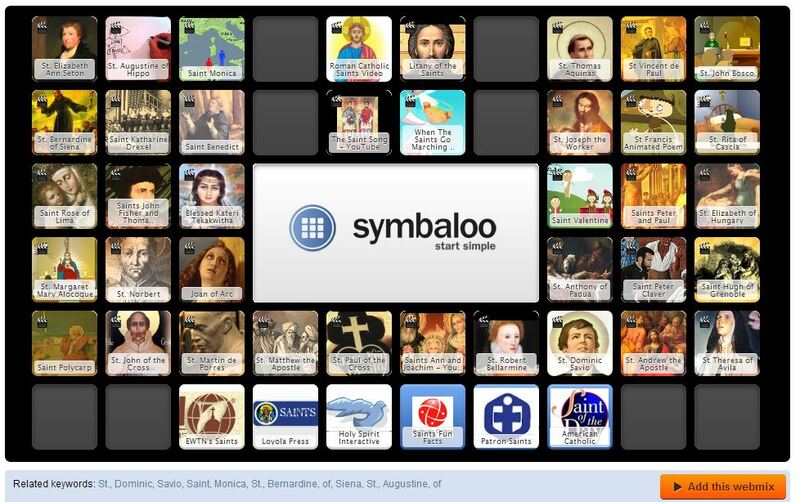 How can we use this tool for catechesis? Several possibilities come to mind. Having trouble assembling all the busy teens of your parish for one confirmation presentation? Create your PPT on your home or work computer, upload it to SlideShark, and broadcast it for those who can attend the session. Make the link available to all confirmandi to review. 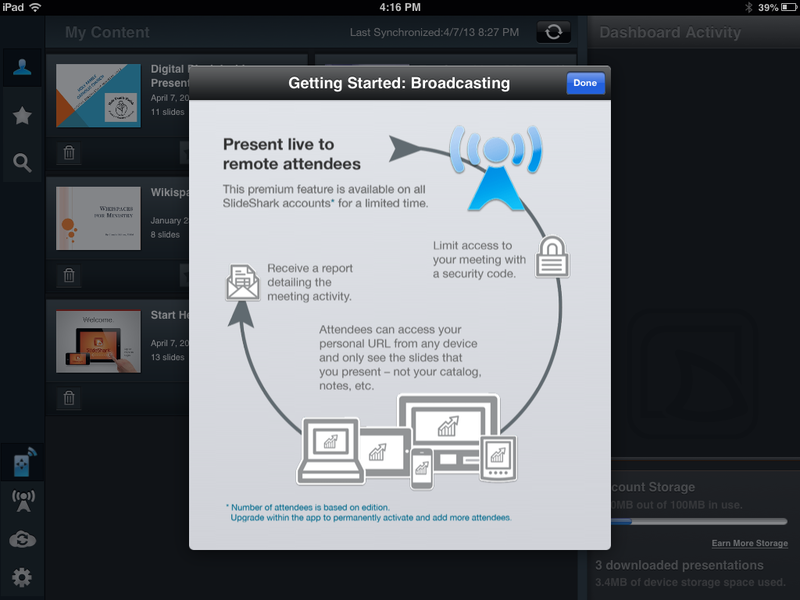 SlideShark even lets you track your attendees so you can verify who has viewed your presentation. Or maybe you just want to have a convenient, hand-held display of your PowerPoint presentation to show people as they exit church through the narthex. No need to lug out the screen and projector. Just upload your PowerPoint presentation to SlideShark and display it on your iPad. Here’s an example of just such a presentation. Click on the image below to be taken to the presentation on SlideShark. For older students who have mastered PowerPoint, SlideShark can be an effective tool to share their presentations with the rest of the class. Remember: not all students will have iPads, so provide other options for viewing if this is the case.